Linden Lab has been running a competition for Halloween, called Sansar’s Scariest, a challenge to build a Halloween-themed experience, together with the chance to win a US $10,000 grand prize (see here and here for more). Time is short for entering this now – the closing date is 17:00 PDT Sunday, October 15th, 2017. However, it is not the only thing the Lab is planning for Halloween in Sansar – as Jenn announced in a blog post on Friday, October 6th. The Monday-to-Friday meet-ups will focus on Halloween / scary destinations in the Atlas. Selected locations will be announced in the meet-up page and on the Discord community, together with times. Saturday October 21st: 14:00 PDT will feature an opportunity to “sing bloody murder”at the Studio Club – Karaoke & Hang-Out. All songs should be themed for the occasion! Friday, October 27th: from 10:00 PDT, a harvest moon at Starry Stars and Stuff. Music, refreshments, cannon balls form the perfect accompaniment under the stars. And yes, I did write “cannon balls”, as there will be a Blitz Dodge Cannon Ball Tournament (no, I’ve not played, either. Been hit yes, but not played…). October 31st, Night of the Living Shred: the first official Sansar Music Event from 18:00 PDT will feature Oblee streaming live. Venue TBC. If you’re looking to try out Sansar, don’t forget to rush through the basics of signing-up and using Sansar in Desktop mode, and when you are ready to go, jump into the Atlas and see what you can find. Linden Lab has announced the first Sansar virtual tourism / history event, which will take place on Wednesday, October 4th., between 10:00 – 11:00 PDT on Wednesday, October 4th. Presented in partnership with the Institute for Study and Implementation of Graphical Heritage Techniques (INSIGHT, also referred to as Insight Digital), Voyages Live: Egypt offers those registering for the event the opportunity to join with Egyptologist, author, and INSIGHT co-founder, Dr. Philippe Martinez for an interactive guided tours of select Egyptian heritage sites which have been recreated in Sansar with a high degree of fidelity. These sites, which are inaccessible to the public, have been recreated as a part of a joint project between INSIGHT, the Sorbonne University, and the Egyptian Ministry of Antiquities. The project has used LiDAR (or LIDAR – Light Detection and Ranging – a surveying method that measures distance to a target by illuminating it with a pulsed laser light and measuring the reflected pulses) and photogrammetry (the science of making measurements from photographs) to produce models of sites of antiquity in Egypt. Some of these models have been optimised by Linden Lab and presented in Sansar in exacting “you are there” detail. One such model in particular, that of the entrance to the tomb of Nakhtamon (“TT341”), was optimised from a model of some 50 million polygons to produce a 40,000 polygon Sansar experience used extensively in promoting the platform in the run-up to the Creator Preview and Creator Beta programmes. This experience is linked to the Voyages Live: Egypt experience, which also allows visitors to travel to what appears to be a work-in-process of the Ramesseum “Coronation Wall”, and to the cenotaph at Gebel el-Silsila. 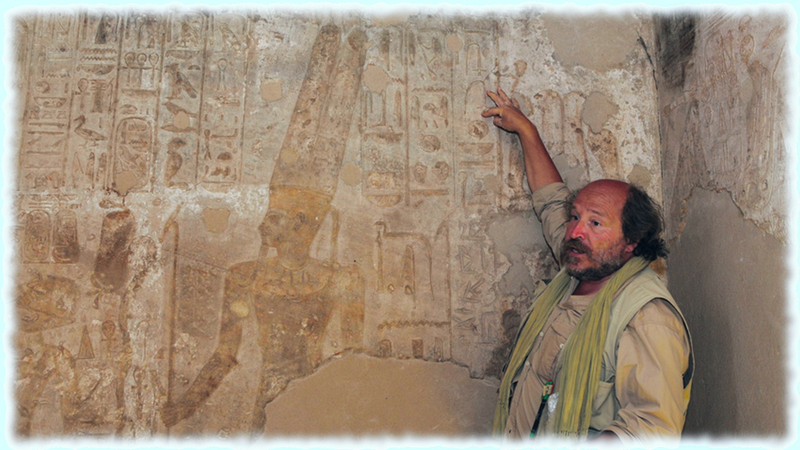 As the co-founder and Lead Archaeologist for the INSIGHT programme, Dr. Martinez is well-placed to talk about the INSIGHT work in the digital preservation of sites of historical import in Egypt and on Egyptology in general. Thus, Voyages Live: Egypt offers a potentially fascinating field trip. However, it is only open to a limited number of participants, so those interested are advised to register sooner rather than later in order to secure a place on the tour. Detailed information on the event will be sent via e-mail to all successful applicants in due course. With thanks to Jenn at Linden Lab. I have a transcript of that discussion / Q&A, as recorded by Chakat Northspring, available in this blog. Since posting that blog post, the Lab have posted the official video footage from the session. However, as the Lab notes in a blog post published on Tuesday, July 14th, there were a number of questions asked (many in chat from the audience) which didn’t get to be addressed. 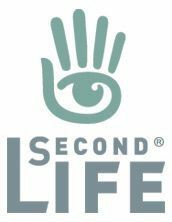 There are also doubtless many more questions people have about both Second Life and Project Sansar they hope might be answered. To this end, as again as indicated by the Lab’s own blog post, a new forum discussion thread has been opened, and residents are invited to Ask the CEO questions about either platform which he, or designated staff members from the Lab, will endeavour to answer – starting with those that didn’t receive an answer during the show. This isn’t the first time the Lab has taken such an approach; following the initial news about Sansar’s development being given by Ebbe back in June 2014, he spent a considerable amount of time within a forum thread attempting to answer questions from users (and at the time, unfortunately being faced with no small amount of trolling by some determined to try to derail the discussion). So, if you need to refresh you mind on what was said during the SL12B interview, feel free to check-out the official video or cast your eyes through my transcript. Then, if you have questions for the Lab on either Sansar or SL (or both), why not head on over to the forum and write them up?